The common refrain surrounding the Arab-Israeli Conflict is that the Israelis and Arabs need to find a compromise solution that will work for both parties. People on the left believe that Israel, as the entity which is much stronger than the Palestinian Authority, must make the majority of that compromise. For those on the right, Israel is the smaller party that has always been under attack by the surrounding Arab and Muslim world, and therefore will demand that Arabs must make significant concessions. This viewpoint is valid in concept, but lacks any nuance to capture the situation as it exists today. In reality, it is the Palestinian Arabs themselves and the Israelis themselves who are torn on the path towards an enduring peace. Until each party can arrive at a consensus internally, the only bridge with consensus regarding a two state solution is found between the Palestinian Authority leadership and far left progressive Jews; a failed partnership, as the PA is despised by the Arab masses and fellow Jews in Israel and the diaspora consider the progressives a dangerous fringe group, as discussed below. The Palestinian Arabs have three distinct viewpoints regarding the conflict, and a fourth approach among Israelis Arabs who share some commonality with Jews. Hamas. Hamas has no interest in a two-state solution as they believe that Israel has no right to exist. While it may make some short-term accommodations related to a cease-fire or an interim acceptance for a two-state solution, the concept of an enduring peace between two countries is abhorrent to Hamas and all of its supporters. The Palestinian Authority. The PA is a corrupt and inept kleptocracy which seeks a two-state solution to empower and enrich themselves. It has stated it will make the great “compromise” of not demanding the entirety of Israel as part of its state and “very reasonably” demand that its country be stripped of any Jews while refusing to accept Israel as a Jewish State. From such perch, the PA flies around the world with honor, pomp and circumstance while fattening their bellies as foreign nations pour money into the wallets of its leadership. The Palestinians. The Palestinian Arabs have no interest in a two-state solution according to their own polls, even if they get everything which the PA demands. They are fed up with everybody – the PA, Hamas, the Israelis and the Arab world which has forgotten about them. They view any and every deal with deep distrust. This is not very promising. The only Palestinians who want the two-state solution today is a leadership which has no legitimacy as it is ten years past its stated term limit, and the majority of Palestinians want the acting leadership to resign. A softer position in the Arab world which is closer to the Jewish positions on two states is held by Israeli Arabs. 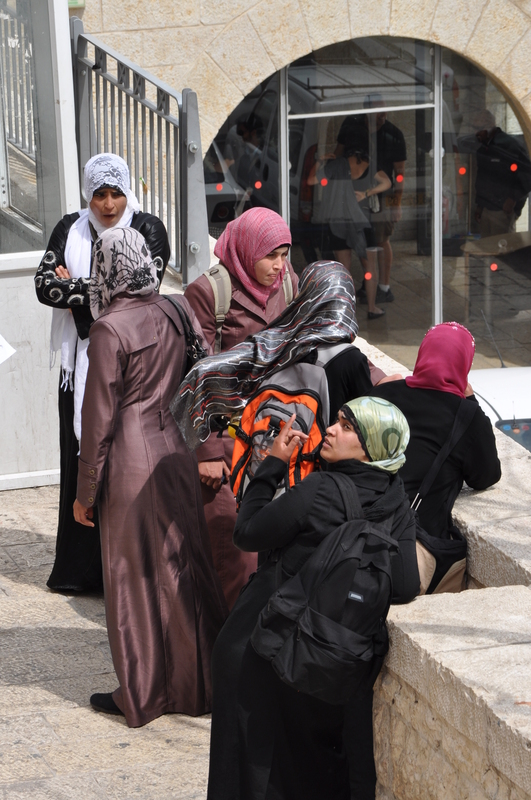 Israeli Arabs. The Israeli Arabs are eager for a two state solution which looks very different than what the PA has proposed. They want NO RETURN of any Palestinian refugees into Israel. They want Israel to be recognized as the nation state of the Jewish people. They demand institutions that are transparent and devoid of any fraud – all desires which the PA will not accept. The wide range of opinions regarding a two state-solution is not limited to Arabs, as Jews also have their own spectrum of ideas. The Far Right. Israel has a number of political parties including Yisrael Beiteinu, United Right (each with 5 seats in the new Knesset), Zehut and the New Right (which got zero seats in the 2019 election) who support annexing Judea and Samaria/ the area east of the Green Line (EGL) commonly called the “West Bank.” The extent of Palestinian “sovereignty” would be limited to Gaza which will be denied any standing army, and essential be an entity with autonomy but will likely need to be a territory of either Egypt, Jordan or Qatar. Israel would likely never permit it to be aligned with Turkey. The Right. Is represented by the majority Likud party and Prime Minister Benjamin Netanyahu. It is in favor of annexing blocs of the West Bank such as the Gush Etzion area and Maale Adumim, but would give the Palestinian Authority large sections of the West Bank where the majority of Palestinian Arabs live including Areas A and B and parts of Area C. There would be no admittance of any Stateless Arabs from Palestine (SAPs). Good news is that the Israelis just held elections so there is clarity that this is the majority consensus view. The Left.The left is represented by the Blue and White party which came in second in the Israel elections. They would allow as many as 100,000 SAPs into Israel as part of a peace deal and give virtually the entirety of the West Bank and eastern Jerusalem to the PA. A bit further to the left in Israel are the Labor and Meretz parties in Israel (6 and 4 seats, respectively) and in the diaspora in groups like J Street and the Israel Policy Forum who oppose the notion of Israel as the Nation State of the Jewish people. The Far Left. Believes that Israel should cease to exist as a Jewish State. They advocate for folding all of Israel, the West Bank and Gaza into a bi-national state with no special rights or privileges for Jews. Essentially the Hamas platform, without the murder of Jews, but with all of the demonization. There is virtually no one in Israel with such views, but is in vocal extremist diaspora organizations like Jewish Voice for Peace, the New Israel Fund and Code Pink. Hamas, JVP, Code Pink, Students for Justice in Palestine and similar groups have tried to gain legitimacy in the public sphere. Former US President Jimmy Carter blessed Hamas despite its vile antisemitic charter and the United Nations has sought to fold it into the Palestinian Authority. Groups like SJP are getting awards on college campuses like New York University. These are hate groups and should be condemned and boycotted by everyone who wants to see an enduring peace in the Middle East. They will never be accepted by any Israeli administration forging a peace settlement, and will only make Israelis move further rightward. J Street and progressives around the world have been reaching out to the PA as the best chance for peace. However, the PA is despised and disrespected by Palestinians. Until there are legitimate Palestinian elections, reaching out to the PA is a fool’s errand. Most Jews and conservatives see through the chimera and think J Street’s moves to weaken Israel and go against the Israeli government by advancing condemnations at the United Nations and promoting a deeply flawed Iranian nuclear deal are dangerous and divisive. The liberal media mostly follows this narrative and will promote the PA as “moderate” which is counter-factual and J Street as “mainstream” which is liberal wishful thinking. However, if they can tack towards the center instead of continuing to lurch leftward, perhaps they can be part of forging an enduring solution instead of today’s alt-left miasma. 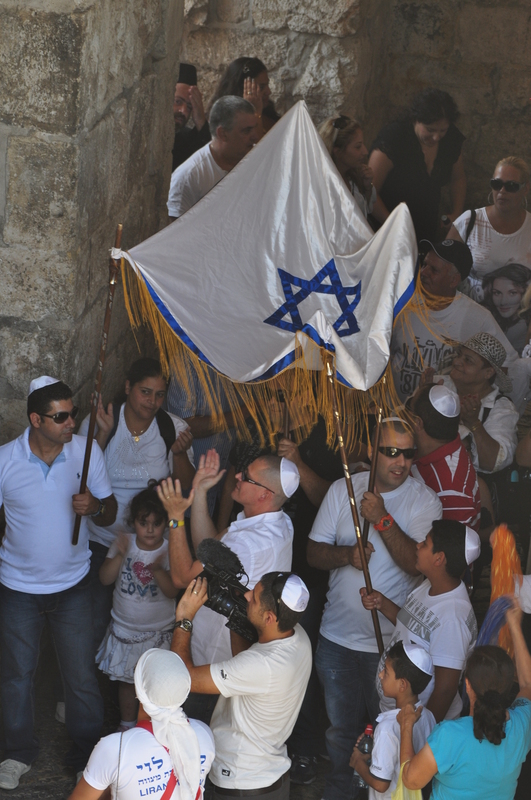 For their part, Israeli Arabs and Likud consider the past decade a tremendous success. While the neighboring region had wars killing nearly a million people in Iraq, Syria, Yemen and other countries; with millions of war refugees scattered around the world; military coups taking over Egypt and almost Turkey; and heads of state chopped off in Libya, Israel was relatively calm. When the financial markets took the western world into an abyss, Israel emerged unscathed and its economy boomed. Riding the status quo has worked, and selectively extending that secret sauce with more global partnerships and annexing blocs of the West Bank are logical next steps. However, the masses are unhappy. The lack of self-determination for the SAPs is not in anyone’s interest and everyone should want to see a resolution to their status. But with no consensus between the Arabs themselves and Israelis themselves, there is little hope for an enduring peace anytime soon. It may therefore be time for some Israeli Arabs to assume a leadership role in the negotiations to help both the Arabs and Jews each reach a centrist consensus among themselves, and then ultimately with each other. While the Israelis went to the polls again to elect their government in a democratic process, the Palestinian Arabs could only watch with envy. They have not held an election since 2006, when they elected the terrorist group Hamas to 58% of Parliament. They last got to vote for a president in 2005 for what was supposed to be a four-year term. Mahmoud Abbas has opted to not hold elections for 10-plus years passed his expiry date and counting. Political pundits will comment about what the new Israeli government will mean for the peace process, as if the tango just involved a single party. In fairness, the ineptitude and corruption of Palestinian Authority which cannot even broker a peace between the rival Fatah and Hamas parties make them easy to ignore as a counter-party for Israel. But if one wants to actually be able to achieve an enduring peace, it is important to understand what Palestinian Arabs think about their situation and the Jewish State next door. Based on these results, there is no pathway towards an enduring peace anytime in the near-future regardless of who leads the State of Israel. The Palestinian Arabs have no faith in their own leadership and no interest in accepting the most generous two-state solution (which Israel wouldn’t offer anyway). It is therefore ridiculous to look at the Israeli elections through the prism of a peace process. Instead, the orientation should be about shrinking the conflict with the Stateless Arabs (SAPs); dealing with Iran and Hezbollah; establishing more diplomatic and trading partners around the world; continuing to build the economy; developing a comprehensive housing strategy; and bringing the devout communities (Haredi and Arabs) into the workforce and out of poverty. We wish the new Israeli government best of luck in tackling these issues. “(1) Everyone has the right to own property alone as well as in association with others. With such understanding, it is worth delving into the rights of Jews and Arabs to own property in the holy land. International law stated that everyone – Jew, Arab and all others – could live throughout the land, but it was specifically Jews who were encouraged to settle the land and establish a national home throughout the entirety of the Palestine Mandate. Article 25 of the Mandate did allow the British to separate off the area east of the Jordan River (now known as Jordan), but it still forbade such entity from banning people from living and owning property because of their religion. But that’s precisely what happened. On September 23, 1922, the British separated that area into “Transjordan” and soon recognized a new government there. That government believed that Jews had no rights to own land. When Jordan invaded Israel in 1948 and took over the area now known as the “West Bank” and eastern Jerusalem, it evicted every Jew. When Jordan passed a nationality law in 1954, it specifically forbade the Jews from eastern Jerusalem and the West Bank from getting citizenship. The Jordanians also passed a law that made it a capital offense for any Arab to sell land to a Jew. The Palestinian Authority has proudly inherited and maintained that policy today. And the world seemed to endorse this Jew-free formula. Even beyond the dozens of Muslim states which refused to recognize the basic existence of Israel, in 2014, former US President Barack Obama chastised Jews for legally buying homes in the predominantly Arab section of eastern Jerusalem stating that the “US condemns the recent occupation of residential buildings in the neighborhood of Silwan by people whose agenda provokes tensions.” The inherent dignity of Jews to own property was viewed as secondary to the demands of the antisemitic Arab neighbors. For Muslims nations, progressives and much of the world, the inalienable human right to own property did not cover Jews, and in their homeland, no less. In stark contrast to Jews who uniquely have been determined as not worthy of basic human rights and dignity, the United Nations extended the property rights for Palestinian Arabs that do not exist for any other group of people. On November 22, 1974 the UN General Assembly passed A/RES/3236 (XXIX) which granted Palestinian Arabs the rights to not just own property but the “inalienable right” to go actually “return” to homes and property where ancestors lived generations ago. The concept was and remains without precedent. Do Americans have the right to return to homes in other continents where great grandparents lived 100 years ago? Even more outrageous, most of the local Arabs in Palestine did not own the house or land; it was mostly owned by wealthy people from other areas including Turkey and Syria. That is why the UNRWA definition of a “refugee” simply states that it is for “persons whose normal place of residence was Palestine,” not that they OWNED any property. Even more, the Palestinian “refugees” which concern the UN simply lived in Palestine between 1946 and 1948, with most having moved to the area from neighboring Arab lands in the preceding years. Not surprisingly, the UN branded “Zionism is a form of racism,” and “a threat to world peace” just a year later as it pushed resolutions to eliminate Jewish rights and dignity while advancing those of the Arabs in their midst. Jews have been uniquely stripped of their “inalienable rights” to purchase and own homes in the Jewish homeland, while Palestinian Arabs have been uniquely granted “inalienable rights” to move to houses and villages which no longer exist in a foreign country because ancestors once lived and worked there, even if they were just renting for a couple of years. With the absurdity of such biased declarations, why should Israel pay any heed to the rantings of the rabidly antisemitic and biased body? 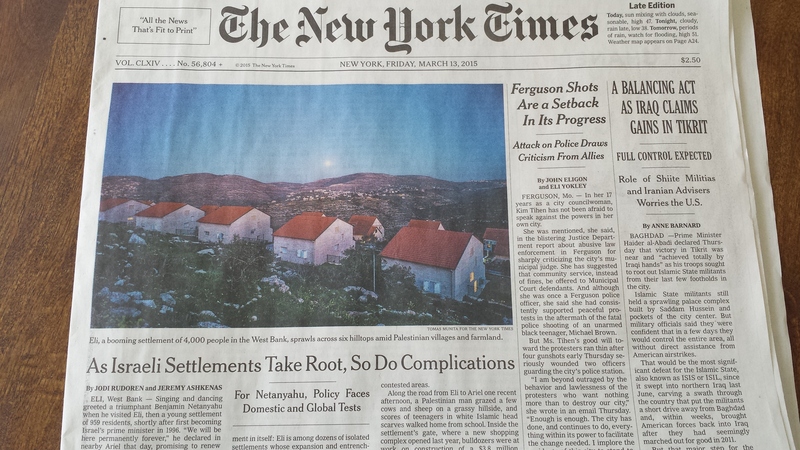 The New York Times touts itself as “a leader in its evenhanded coverage of Israel, Palestine and the Middle East.” The paper went so far as to publish a piece by “the Public Editor” after the 2014 War from Gaza called “The Conflict and the Coverage.” It described the paper’s desire to provide more context and provide LESS SYMMETRY going forward in response to complaints about its coverage of the war. Presumably the idea of being “evenhanded” while providing “less symmetry” meant that the Times would just call it as it sees it. Since that time, in story after story, the Times has imparted its biased opinions as facts to build upon its conclusion that Israel is a racist colonial occupier of Palestinian land. Here is a breakdown with some select articles. The land is Arab. Nicholas Kristof’s op-ed of February 26, 2015 made very clear that the land is Arab. 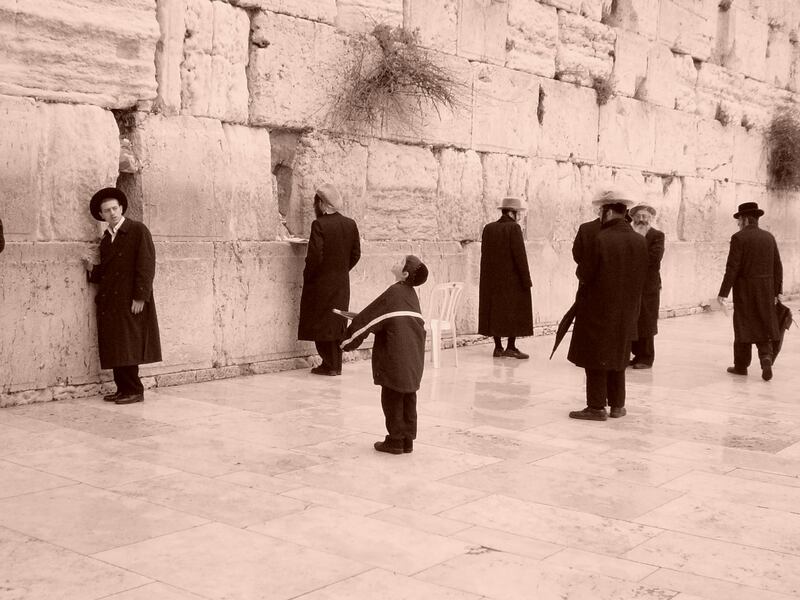 Why do the Israeli Jews keep trying to steal it away? The very basis of Zionism is a violent displacement of the native Arabs. Steven Erlanger wrote an article on February 7, 2016 that stated explicitly that Zionism was a brutal ideology designed to displace the indigenous people. Any Jew living east of the Green Line is illegal and there is no legal or historical basis for any Jewish claim. This is a common refrain from the Times, but for deep color, read the large cover story from March 12, 2015 by Jodi Rudoren and Jeremy Ashkenaz. It was one of the largest single stories about Israel every published, going from the cover page with large color picture onto a two-page spread. In all of that ink, you’d struggle to find anything about the international laws of 1920 and 1922 that specifically encouraged Jews to move throughout Palestine (including the area now commonly called the “West Bank”) and prohibited any person to be excluded from living anywhere because of their religion. Israeli Jews are racist. David Halbfinger wrote an article on December 1, 2018 that said simply “racism is so commonplace in Israeli society,” making the entire people biased, not just the government. The only Jews that live in Judea and Samaria are Messianic war-mongers. Roger Cohen has dozens of op-eds where he bad-mouths the Israeli Prime Minister Benjamin Netanyahu. But on December 17, 2015, he penned an opinion that labelled all “settlers” as radical fanatics. The mother, the school teacher, the nurse, the lawyer. All caught up by Messianic fever. Israel is not progressive. The December 31, 2017 article by Laura Boushnak and Laura Boshnaq claimed that Lebanon was the only place in the Middle East that was welcoming the LGBT community, completely ignoring Israel. Israelis exaggerate the threat of terrorism. The May 21, 2016 article by Dia Hadid and Majd al Waheidi described how Palestinian Arabs in Gaza were scared about tunnels dug by Hamas since Israel might respond forcefully. Jodi Rudoren’s July 29, 2014 article made a joke of Israelis’ concern about the tunnels – almost an excuse to pound Gaza. An article on March 24, 2016 made the Israeli concern about computer hackers taking over Israeli infrastructure seem like a fabricated excuse to arrest Arabs, but when the US arrested Iranian hackers the next day for threats on US infrastructure, the Times implied that it was entirely warranted. Israeli leaders are not respected. 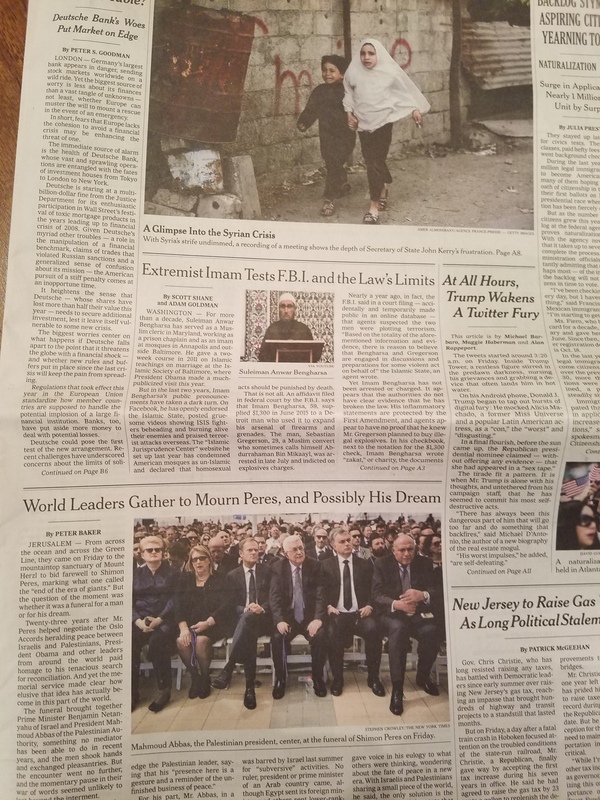 On October 1, 2016, while most papers paid homage to the Israeli leader Shimon Peres as they covered his funeral, the New York Times opted to post a picture of a grimacing Mahmoud Abbas on the front page. The manner in which the Palestinian Arabs are treated is in sharp contrast. The Palestinian “Nakba” was like the Holocaust of Jews. The disgraceful imagery that Arabs losing a civil war over land in a war they initiated as being comparable to the slaughter of 6 million Jews is vile in every manner, and commonplace in the Times. Consider Roger Cohen’s July 15, 2014 opinion piece where he directly compared the “Nakba” and the Holocaust, or Nicolas Kristof August 25, 2016 opinion piece in which he said that Anne Frank is a Syrian girl today. Palestinians are brutalized by Israel; Jews are not victims. The split in coverage is horrible. Consider the front page on July 7, 2014 which had a large color picture of an American Arab teenager who was beaten up in a riot in Israel, to a story on November 20, 2015 when an American Jewish teenager was killed for simply riding in a car. The article had no picture for Ezra Schwartz, and the article didn’t even describe him as American until the tenth paragraph. Similarly, over two weeks in June/July 2015, the Times would only show pictures of Palestinian victims with captions of their names and that the killers were Israeli soldiers, but no pictures or captions would be posted for any of the Israelis killed. Palestinians are victims, even when killed during terrorist attacks. There were several stories in October 2015 of Palestinian Arabs stabbing Israelis with knifes, attacking them with cleavers and running them over with cars. But in each instance, the Times posted pictures of the Palestinian Arabs wounded or killed, seemingly victims of Israeli actions rather than defensive reactions. Palestinians are moderate but resort to violence because they are desperate with their situation and angry with how they’re treated by Israel. The Palestinian leadership is moderate. The same November 15, 2018 articles mentioned above that called the Israeli government right-wing 15 times, chose to call the Palestinian Authority “moderate.” A January 14, 2018 article whitewashed Mahmoud Abbas’ antisemitic violent tirade the day before, and claimed that Abbas stood for non-violence. The Palestinian Arabs are desperate and resort to violence. A December 31, 2014 editorial led that the Palestinians are so desperate that they may be willing to accept anything, or go to war. On June 5, 2018, the Times wrote an article which claimed that Bobby Kennedy was assassinated because of his support of Israel which treated the Palestinians badly, rather than Palestinians desire to eradicate Israel. On May 22, 2018, an editorial by Thomas Friedman said that Palestinians were angry about losing homes to Jews who had lost homes in Germany, making the Palestinians the victim and ignoring Jewish history and basic rights to live in Israel. Palestinians only hope for peace, not the destruction of Israel. This is a constant refrain for the Times. An example can be found in the June 2, 2015 article which described the Gazans’ “hope” that governments around the world would rebuild the neighborhoods destroyed in the 2014 war, never outlining that the neighborhood was the opening of the fanatical funnel of tunnels that entered Israel. On February 28, 2016, Steven Erlanger referred to a convicted terrorist as a potential future Noble Peace Prize winner. Perhaps not a surprise, when the day before on February 27, 2016, the Times described a Palestinian terrorist group simply as “leftist.” Is terrorism against Israel a progressive ideal? There are no Palestinian Arab terrorists. Even though the United States, the European Union and many other countries label Hamas and various other Palestinian Arab groups “terrorists,” the Times is loathe to do so, even while it freely labels other groups like the P.K.K., ISIS and others as such. 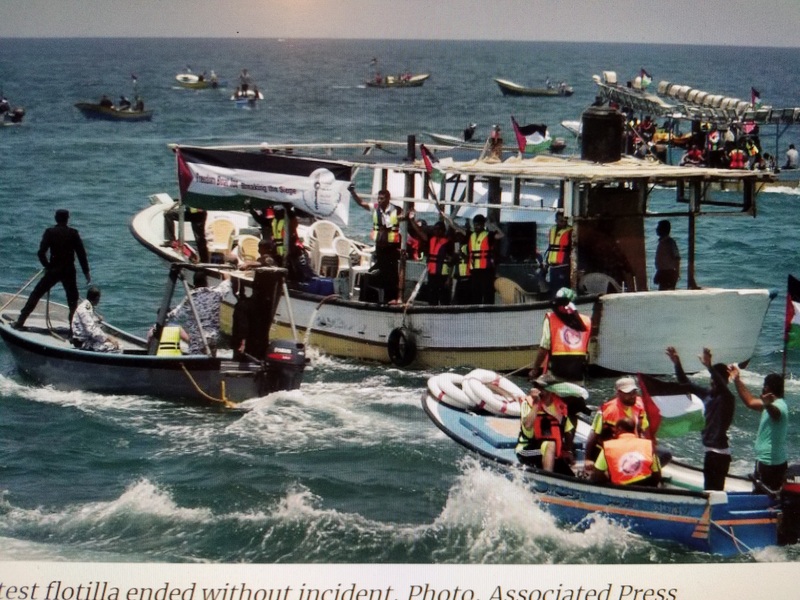 Review a range of articles from June and July 2015 which just called Hamas a “militant group.” The story is the same for individual terrorists, such as when a Palestinian Arab killed an American citizen, the Times wrote a headline on March 8, 2016 that would lead a reader to believe that an Israeli killed the American. Never mention the antisemitic Hamas Charter. The battles between Israel and Hamas have been going on since the organization was founded in 1988. The Times writes about Hamas every month, but never describes the group’s foundation document which quotes from the Protocols of the Elders of Zion and calls for the murder of Jews and destruction of Israel. Instead the Times pretends that Hamas is not devoted to destroying Israel and killing Jews, such as the November 19, 2012 editorial in which it wrote that Hamas “is so consumed with hatred for Israel that it has repeatedly resorted to violence.”Not DEDICATED to violence, but RESORTED to violence according to the Times. Palestinian Arabs are not motivated by antisemitism; that’s just a by-product of being persecuted by Israel. The Anti-Defamation League conducted an extensive analysis of antisemitism around the world. It found that the Palestinian Arabs were the most antisemitic, with almost every single person – 93 percent – harboring antisemitic views. The May 13, 2014 article by Rick Gladstone about the study did not highlight the Palestinians’ Jew hatred, but instead noted that “the Middle east results were not surprising,” whitewashing an underlying cause of the entire conflict. Muslims kill Jews in Europe because of class issues, not religion. Consider the March 27, 2018 article about various Muslims attacking and killing Jews. The paper refused to expressly state the Islamic background of the murderers in each case. Jews were not expelled from Muslim and Arab countries according to The Times. The October 20, 2016 by Ruth Margalit wrote that over 850,000 Jews simply immigrated from countries where they had lived for centuries, not making even a passing comment that their lives were made impossible by the antisemitic government edicts. Muslim countries are not radical or violent, only Israel is. The New York Times runs a travel business in which it touts the “beguiling” nature of regimes like Iran, Saudi Arabia, Egypt and Morocco, but describes Israel as a volatile region. Palestinian women fair well under their leadership; the only issue for women’s right is from Israel. The March 8, 2018 article about international women’s day showed pictures of women around the world protesting their situation – except in Gaza where girls and women were happy. On October 12, 2012, Jodi Rudoren wrote an article about honor killings in Palestinian territories, blaming the situation on Israel, not the misogynistic Palestinian society. The bias in coverage of Israel and Palestinians is seen in almost every article. This prevalent bias leads to INVERSIONS of cause-and-effect in the stories the paper writes about the conflict. 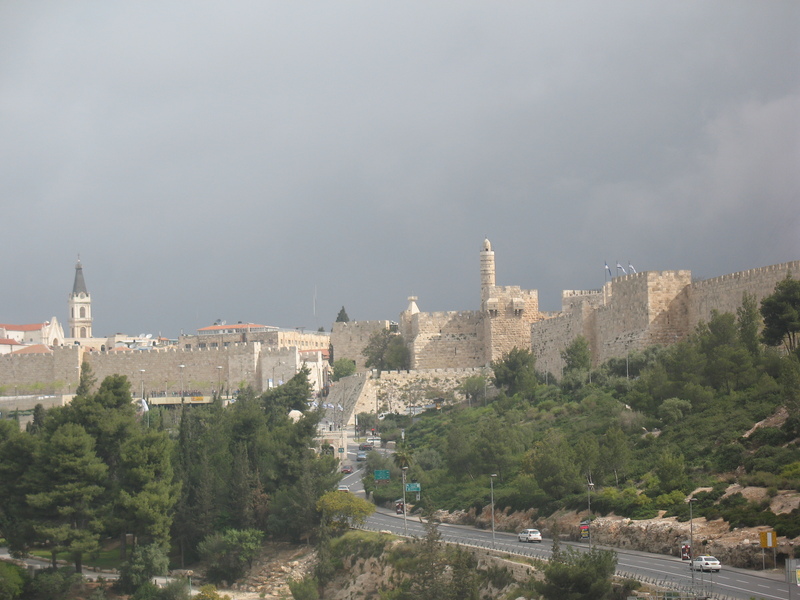 Consider the story about Jews buying apartments in eastern Jerusalem from Palestinian Arabs. The Palestinian Authority considers the act high treason and punishable by death. As such, Israelis must be very careful in handling such matters to prevent the slaughter of Palestinian by the PA. But the Times INVERTED that narrative in an October 16, 2014 article by Isabel Kershner. Kershner made the Jews out to be sneaky profiteers doing shadowy illegal transactions, not trying to consummate a legal transaction while protecting the counter-party. The alt-left has called for a new paradigm for viewing society, and The New York Times has embraced that credo: the weaker party is always right and can never be cast as racist, antisemitic or as the aggressor. The underdog’s situation is the fault of an external oppressor, and any action such downtrodden group takes to improve their status is simply “punching up” to establish equality. Their goals are noble and to be encouraged. The Arab world took note and inserted the Palestinian “refugees” into this miasma of intersectionality, effectively convincing the alt-left to recast the antisemitic terrorists as the victims of colonialist forces. The New York Times is only too willing to help. You see, “evenhanded” to the alt-left progressives means pulling up with one hand and beating up with the other. The racism prevalent in Palestinian Arab society sometimes seems to have no limits. It is one thing to read a poll which describes almost every single Palestinian man, woman and child as hating Jews, and that Palestinians are the most anti-Semitic people on the planet. It is another to hear the stories of how that Arab hatred manifests itself. Waiting for a bus while being Jewish. Seven Jews were shot while they stood at a bus stop near the town of Ofra in the Israeli Territory of Area C in December 2018. A Palestinian rode his car and sprayed the civilians – including a pregnant woman – who were just standing there with gunfire. Going to work while being Jewish. Jewish workers were shot and killed in the Barkan Industrial Zone, designed to be an area of coexistence, in October 2018. The Palestinian Arab had internalized that Jews should really not be working there. Standing next to a store while being Jewish. Ari Fuld was just standing outside a store when a Palestinian Arab teenager stabbed him in the back and killed him in September 2018. Why should Palestinians have to see Jews shopping? Riding a bus while being Jewish. Jews were riding a bus in Jerusalem in April 2016. Appalling. A Palestinian Arab teenager blew up the bus. Looking like a tourist who might be Jewish. A Palestinian ran through Tel Aviv stabbing people, including an American named Taylor Force in March 2016. How outrageous to see people visiting the Jewish State! Riding a car while being Jewish. A Jewish couple drove with their kids on the road and were shot and killed by a Palestinian terrorist, who thought Jews should really not be driving anywhere near him in October 2015. Praying in a synagogue while being Jewish. Jews were in synagogue reciting their prayers when Palestinian Arabs entered with an axe and meat cleaver, slaughtering four of them in November 2014. 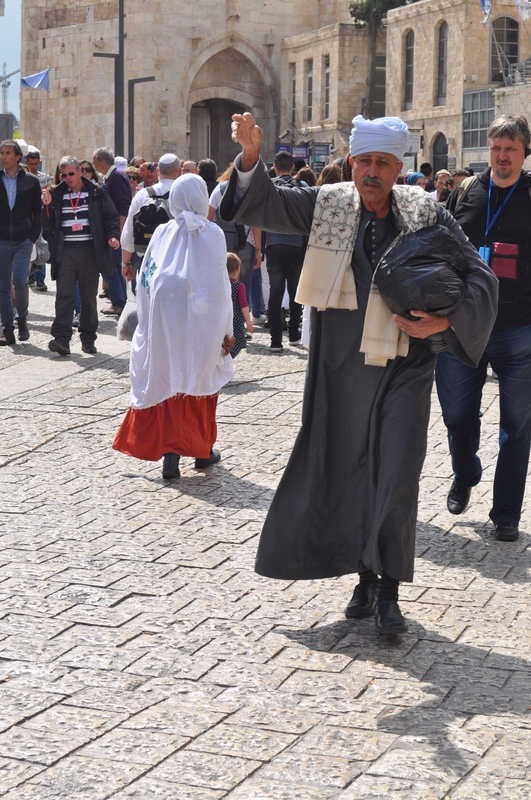 Jews praying in Jerusalem is about as outrageous a thing as any Palestinian Arab can imagine. Sleeping while being Jewish. Five members of the Fogel family were stabbed to death – including a three month old – while asleep in their beds in the town of Itamar in March 2011. How could Jews be sleeping in their homes so close to Arab villages? Who do they think they are? Having a Passover Seder while being Jewish. Dozens of seniors were having a quiet Passover seder at a hotel in Netayna in March 2002. Outrageous. A Palestinian Arab walked into the room and blew the place up. Having pizza while being Jewish. Mothers and children were enjoying pizza on a hot afternoon of August 2001. Clearly too much for a Palestinian Arab man who blew the place up, murdering 15 and wounding over 100. 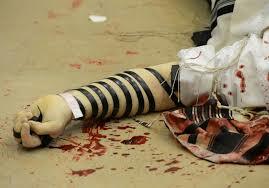 How should Jews feel when when every simple action makes Palestinian Arabs so enraged that they want to kill them? How maddening is it for Jews to live with the constant anxiety of having their presence, their innocence, and their existence, questioned? When antisemitism is so deeply instilled into Palestinian society, how can coexistence ever be possible? The summer of 2018 was a story of fire. Fires raged through California, consuming thousands of acres. Fires raged in Greece, killing scores. The front pages of The New York Times featured color photographs of these horrible incidents. The pictures captured the roaring flames, the burnt forests, the exhausted firefighters. The daily front page articles showed the destruction. The captions under the pictures gave readers a sense of the unfolding efforts to contain the blaze, even as it updated the daily loss of life. Every day for the length of the summer, Palestinian Arab arsonists sent firebombs aloft into Israel. Using kites and healium filled balloons and condoms, the terrorists sought to inflict damage to Israelis with a new approach that let the masses participate in the battle against Israel. 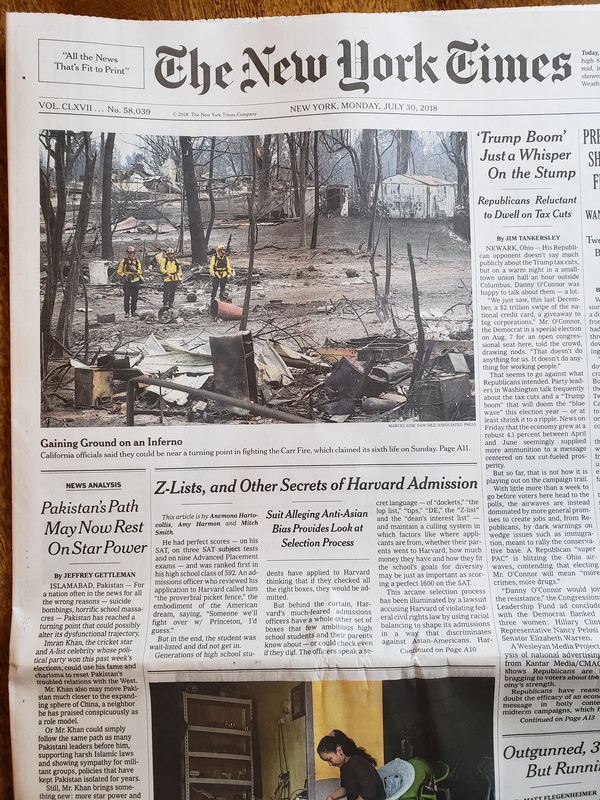 Yet despite the thousands of acres burned, The New York Times never posted a front page picture of the Arab arsonists. It never broadcast clearly the terrible damage of the scorched fields which Israelis had cultivated. It never posted a caption clearly describing the terrorist and the victim. For the New York Times, tragedy is a dish best served among friends. The arguments to defund and shut UNRWA are plentiful, but as the established and embedded “way of living,” (to quote Queen Rania of Jordan) of Palestinian Arabs in the five regions in which it operates, the process of closing the organization may take some time to implement. But the time is now in Gaza. While the United Nations long ago abused the definition of “refugee” as something that can be passed down through generations like an inheritance uniquely for Palestinian Arabs, the situation in Gaza is all the more ridiculous. A “refugee” is not defined as someone that left a specific house. It refers to leaving a country. “Palestine” between June 1946 and May 1948 included the areas now known as Israel, Gaza and the area commonly known as the “West Bank,” which was seized and annexed illegally by the Jordanians at the end of the 1948 conflict. At best, the “refugees” in Gaza can be described as “internally-displaced” people. While the Arabs in the West Bank are also only descendants of internally-displaced people like those in Gaza, they have limited autonomy in much of the region. Only in Area A is the Palestinian Authority in charge of both the civilian and military life. However, the situation is completely different in Gaza. Israel removed every Israeli civilian and soldier in 2005. For the first time in history, local Arabs in Gaza control their own territory. The Gazans held elections for president of the Palestinian Authority in 2005 and for parliament in 2006. But UNRWA has stayed put in Gaza anyway. While the United Nations adoption of the Palestinian cause has long made the organization a biased actor in the Israeli-Palestinian Arab dispute, the situation is much more problematic in a war zone. UNRWA does not sit in the middle as a neutral party in these battles. Over 99% of UNRWA employees are the local Palestinian Arabs, not European peace forces. 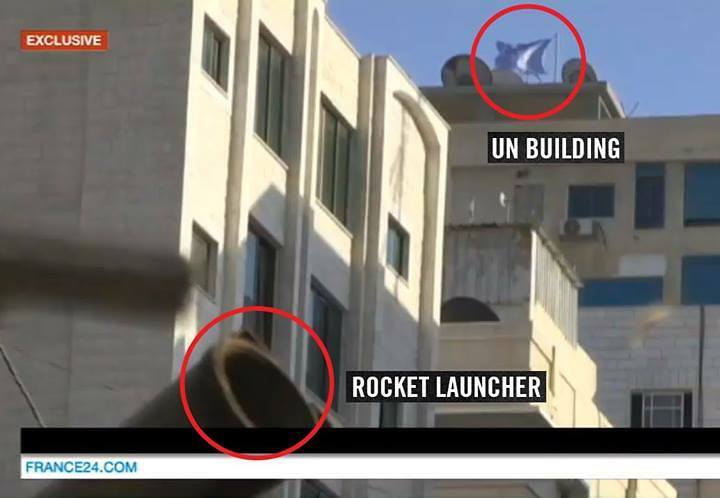 UNRWA teachers have been active in the terrorism against a UN member state, building bombs for terrorist groups. They have allowed the schools to be used to store weapons and as missile launching sites. And many of the students and their family members are part of the terrorist infrastructure itself, belonging to Hamas, Islamic Jihad and other groups. How can the United Nations continue to take an active – or at a minimum, abetting – role in terrorism and violence against a member state? Some Palestinian-apologists tried to divorce the statement from antisemitism by noting that Abbas said that he didn’t want “Israelis,” not Jews. Those apologists ignored Palestinian law that forbids the sale of land to any Jew, not just Israelis. It ignored the repeated assertion by Abbas and the Palestinian Authority that Jews have no history in Israel. It whitewashed the Hamas Charter‘s rant against Jews around the world. Suggesting that it is not Arab antisemitism but Israeli Jews unwilling to coexist that underscores the Palestinian Authority goal of a Jew-free country. But the facts are clear as laid out in a March 2018 Palestinian poll which found that 63% of Palestinian Arabs want to forbid any Jews from living in their country. While slightly better than the 93% of Palestinian Arabs that were found to be anti-Semitic in a 2014 ADL poll, the horrifying results are abundantly clear that the Palestinian’s hatred is not limited to Israelis but about all Jews generally. Mahmoud Abbas criticized Israeli Prime Minister Benjamin Netanyahu’s demand that a final peace agreement include a statement that Palestine recognize Israel as a Jewish State. Abbas’s protests included comments that such a recognition was not required in peace deals with Jordan or Egypt, and that such a recognition would harm the status of Israeli Arabs. It is quite a pool of hypocritical spittle. Neither Jordan nor Egypt have laws that forbid the sale of land to Jews nor have they made statements that Jews are unwelcome in their respective countries. Meanwhile Palestinians have fabricated a narrative that only Arabs have a history and claim on the holy land. If Abbas is truly worried about the status of Israeli Arabs (who prefer to live in Israel over a future Palestinian state), he should be able to empathize with Israelis’ fear about the status of Jews in a potential Palestine. Maybe Netanyahu would waive the recognition of Israel as a Jewish State in exchange for a clear Palestinian declaration that Jews are welcome to live and pray in Jewish holy sites throughout Palestine. It could go a long way to normalizing relations between Jews and Arabs and ending the prevalent antisemitism in Arab society. Haley continued to comment at the UN Security Council against the biased narrative that the problems in the region stem from Israel. She declared that the primary problem was Hamas. Is Haley correct that Palestinians truly want to live in peace with Israel, and it is just the ruling terrorist party that foments violence in an attempt to destroy the Jewish State? The Palestinian Arabs poll themselves every quarter. The public opinion poll #67 was published on April 1, 2018, with interesting findings about Palestinians’ views of Israel, the peace process, Hamas and the leader of Palestinian Authority President Mahmoud Abbas. Israel is a leading democracy. Remarkably, Palestinians are incredibly impressed with the democratic institutions that they see in Israel. When voting on “good” democracies, Turkey garnered a 64% approval; Israel 57%; France 55%; Palestinian Authority 23%; and Egypt 10%. No real desire for Peace. Despite considering Israel as a leading democracy, Palestinians are not particularly interested in peace with the Jewish State. 48% want a return to an armed intifada. 50% oppose a two-state solution. 52% want to cancel recognition of Israel and a suspension of the Oslo Accords. 63% of Palestinians oppose the idea of allowing any Jew to live in a future Palestinian state as either a citizen or resident. The Arab world has moved on from Palestinian Cause. Because of the “Arab Spring” upending countries in the region and the emergence of a Sunni-versus-Iran regional confrontation, 74% of Palestinians believe that the Palestinian cause is no longer a primary concern in the Arab world. Hatred for Abbas. 68% of Palestinians want Abbas to resign, not much of a change from the 70% that wanted him to resign in December 2017. If Abbas ran against the leader of Hamas, Ismail Haniyeh, in presidential elections he would lose, just as he would have lost in every poll conducted over the past several years. Done with the US. 88% of Palestinian Arabs believe that the US is biased towards Israel and 65% oppose resuming any talks with the US administration. Expectations for peace. Only 9% of Palestinians believe that there will be peace in 10, 25 or even 100 years. Time to move. A growing percentage of Gazans want to immigrate to other countries, now at 45% of the population, up from 41% in December 2017. The percentage is only 19% for Arabs in the West Bank. According to the polls, Palestinians are indeed fed up with their leadership, but more with Abbas than Hamas. That sentiment is more pronounced in Gaza (81%) than the West Bank (62%). So when Haley calls out for encouraging “more responsible Palestinian leadership,” the answer must be a COMPLETE overhaul of the Palestinian leadership including the current acting-president Abbas and the ruling government in Gaza, Hamas. In the current configuration, no relief will come to Gaza and no peace between the Israelis and Palestinian Arabs. At the UN Security Council, the US is debating the rest of the council in a Hamas-versus-Israel narrative as it relates to Gaza. But in Gaza, the conclusions are in: they are fed up. They hate Abbas even more than Hamas and have no interest in coexistence with Jews or the Jewish State. For Gazans, the debate is only whether to stay or to go. On May 14, 2018, the United States of America moved its embassy in Israel from Tel Aviv to Jerusalem. The choice of May 14 was chosen to coincide with the 70th anniversary of Israel’s declaration of independence. Just as President Harry Truman chose to have the United States of America be the first country to officially recognize the Jewish State in 1948, President Donald Trump elected to have the USA be first to formally recognize Israel’s capital in the modern day. Some protests – particularly from the Muslim, Arab and far-left world – have been loud and furious. This group (and yes, they are coalescing into a single mass) argue that recognizing Jerusalem as the capital of Israel without having a similar declaration for Palestinians is unfair. They note that Trump’s action will make the Arab world angry and provoke violence, leading to deaths on both sides of the conflict. Further, such a move does nothing to advance the cause of peace and is therefore a terrible mistake. I will not argue that they are not entitled to their opinion. I will instead consider their arguments as though it was 1948. Zionists declared an independent country in 1948, even though the local Arab population did not. Was it wrong for the US to recognize the Jewish State even though there was not a corresponding local Arab state? The Arab world was furious with the declaration of the Jews and the US response. The armies of five Arab armies (Lebanon, Syria, Iraq, Jordan and Egypt) invaded Israel in a war that claimed thousands of lives. No peace has come to the region. Now, over 70 years later, the Israelis have only been able to forge a peace agreement with two Arab countries, Egypt and Jordan. But to do so is to contort cause-and-effect, actual history-with-“my truth” philosophy, and equality-with-fairness. The AMAL legions believe that Israel is a foreign transplant in Arab land. They did not recognize the rights of Jews to live in and have sovereignty in the region in 1922 (as encouraged in international law in the Mandate of Palestine), in 1948 (at Israel’s declaration of independence) and do not recognize it now (as the US embassy moved to Jerusalem). They want Jerusalem for a capital today just as they wanted Haifa as part-and-parcel of Arab Palestine in 1948. They have fought tooth-and-nail against these events for 100 years. For AMAL, accepting a foreigner stealing your home and land is a negation of one’s narrative and one’s dignity, and there can be no peace without dignity. The alt-left has joined the anti-Zionist AMAL army in greater numbers as they have embraced and advanced the notion of “my truth” broadly. While the “progressives” may occasionally become offended at the vile anti-Semitism spewed by Palestinian Arabs, the Arab rejection of thousands of years of Jewish history in the holy land and the centrality of the land of Israel in Judaism, the alt-left have nevertheless adopted the underdog. They have redefined the conflict as a matter between Israel and the stateless Palestinians rather than the 100-year old Israel-Arab conflict. The alt-left sees a powerful Israel both economically and militarily on one side against a stateless impoverished people. They therefore see complete lack of equality in the actors, as they narrow the scope past the 20+ Arab and 50+ Muslim countries that dwarf the population of Jews in Israel by 100-to-1, to a scenario where Israel is the Goliath. With such a mindset, the AMAL army contends that Trump added fuel to the fire of an unfair dynamic, just as when Truman blessed the theft of Arab land in 1948. The action continues to move the parties away from their perceived only pathway to peace which includes a bi-national Israel and a purely Arab Palestine. The pro-Zionist camp sees the world very differently. 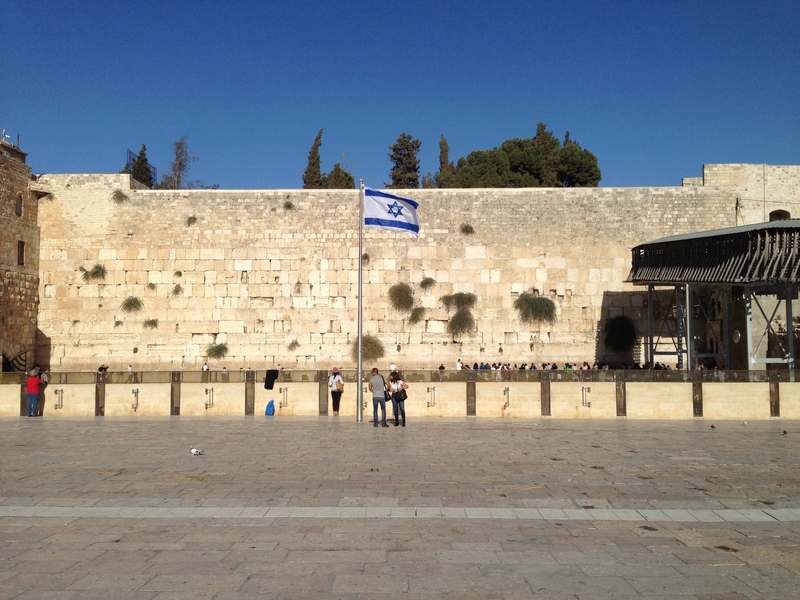 It celebrates Truman’s recognition of Israel as part of the restoration of the Jewish people in their homeland. 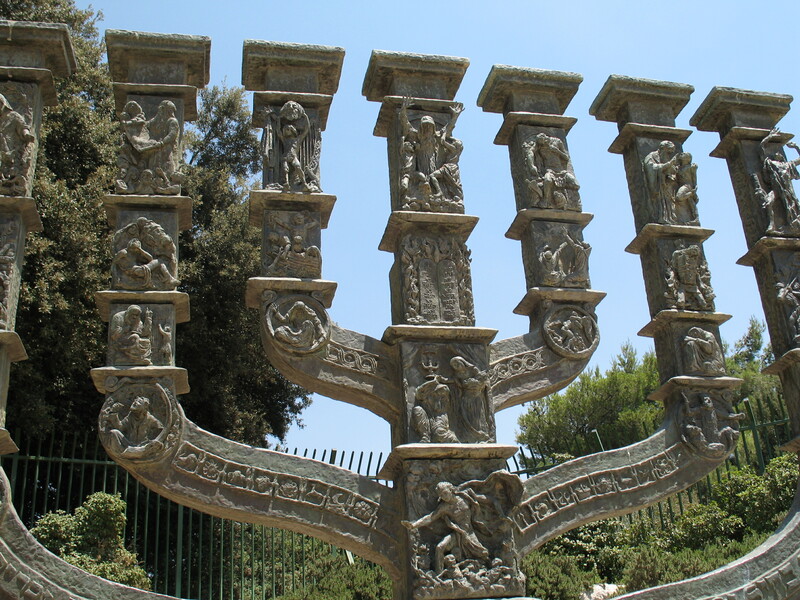 They know that if the Jewish State had been reestablished a decade earlier in the 1930s, tens of thousands of Jews would have been saved from the Holocaust. And they admire the thriving stable democracy which Israel has become, in the middle of a vicious and violent Arab Middle East. Recognition and partnership have been beneficial to both the USA and Israel. But the soldiers of AMAL deny any recognition of Israel’s reality, whether Jerusalem as its capital, its flag in Judo tournaments, the research of its professors and the goods from the country. Thirty countries in AMAL still do not recognize the State of Israel. Their belief that the United States continues to be wrong from Truman to Trump runs deep. The lines in the conflict continue to cut deeper. Do not simply consider whether the United States’ recognition of the capital of Israel was right or wrong because it is likely clouded by personal perceptions of Donald Trump. 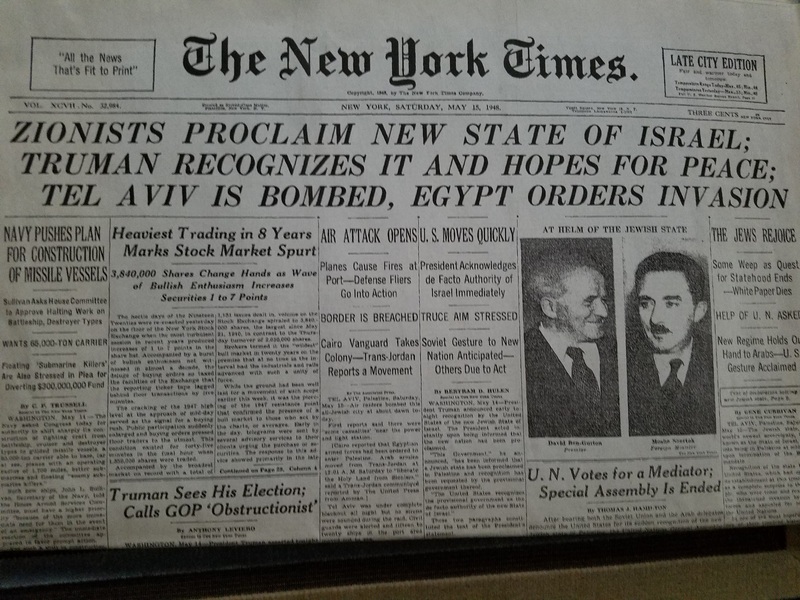 Ask yourself if you think president Truman was right in recognizing Israel 70 years ago to understand whether you are part of the AMAL horde or stand proudly with Israel.